Sizes mens: S 38" M 41" L 44" XL 46" 2XL 48" 3XL * 50" 4XL * 52"
Soft high stretch fabric. Comfortable active cut. Fashionable shaped longer back panel. YKK full front zip fastening. 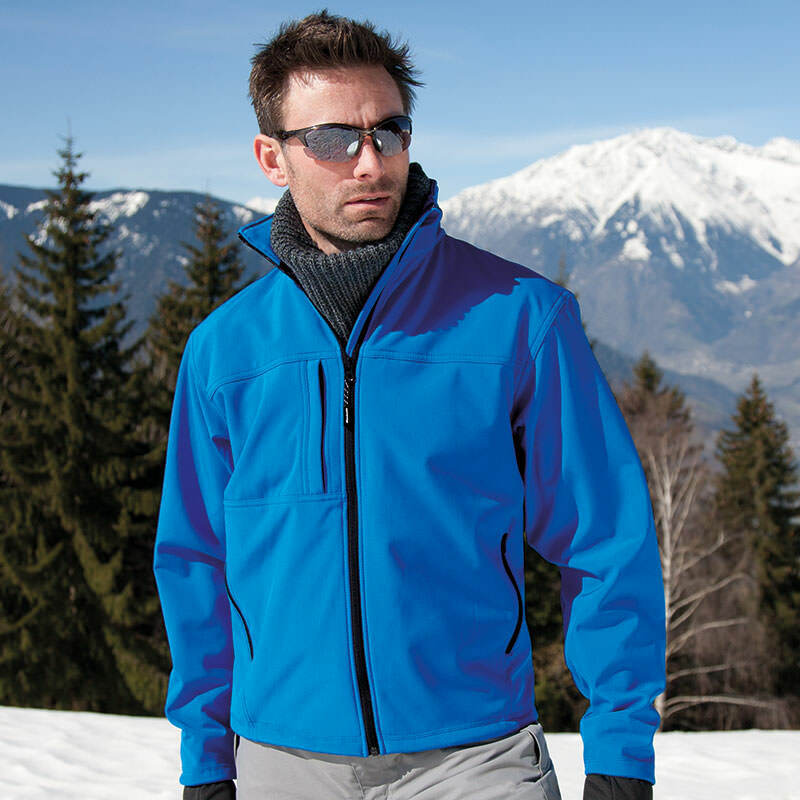 2 zip closing side pockets, 1 zip closing chest pocket, 2 large inside pocket and 1 inside phone pocket. Adjustable shockcord hem. Inner storm flap. Decorative front and back yoke. Concealed access for print and embroidery. Waterproof and breathable fabric. Decoration Guidelines: Decorating methods: Embroidery. Decorators access point: Inner top back.